Beautiful satin bodice with tulle skirt and shawl First Communion dress. 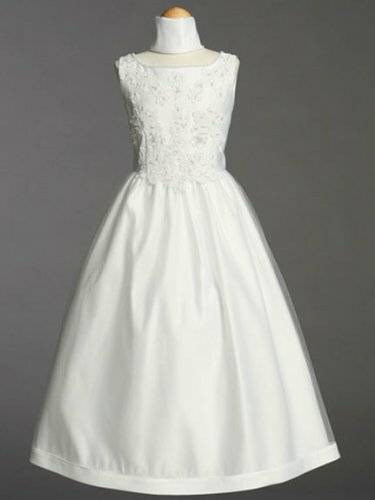 Features beaded neckline and beaded applique. Dress is tea length.